It’s been whispered about for months, but it’s finally official: Korean automotive company Kia is making a comeback in the Philippines through Ayala Corporation. The announcement was made in a press briefing on Monday, December 17. 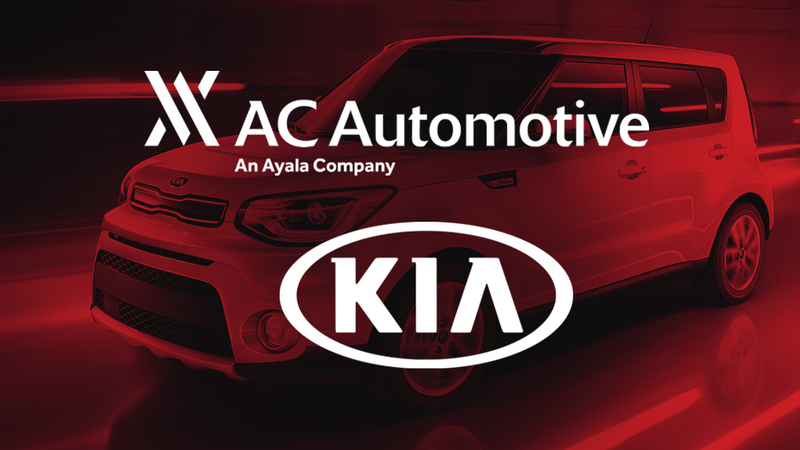 AC Automotive, Ayala Corp's automobile business company operating under AC Industrials (ACI), will relaunch the Kia brand in the country on January 30, 2019. With the acquisition of Kia, Ayala’s automotive division now manages a total of six brands, including Honda, Isuzu, Volkswagen, KTM motorcycles, and Maxus. The brand’s previous distributor was Columbian Autocar Corporation, a company whose founding chairman—Jose Alvarez—also used to own Asian Carmakers Corporation, the local dealer and distributor of German luxury brand BMW. He has since sold a majority stake of that business to San Miguel Corp. Led by Arthur Tan as chairman and CEO and Manny Aligada as president, Kia Philippines seeks to reestablish itself as a significant player in the local automotive industry. 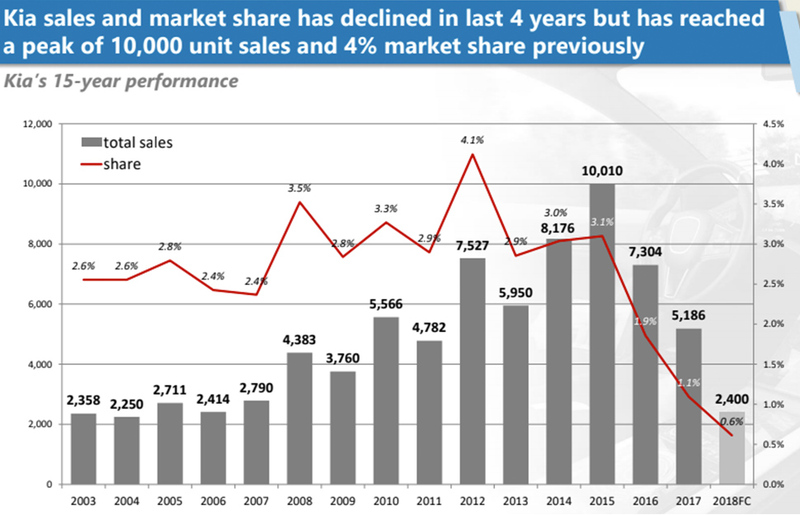 According to data provided by Kia Motors, sales and market share of the brand has dropped significantly in the last four years after reaching a peak of just over 10,000 units in 2015. By 2017, full-year sales dropped almost 50 percent to 5,186 units. This year, the brand has so far moved only 2,400 units. The challenge for the company now is to rebuild the brand and emphasize its partnership with Ayala Corp., strengthen its dealer network in the country—which currently number 37—and introduce competitive financing packages to drive sales. South Korea’s oldest and second-biggest automobile company, Kia offers a broad range of models spread out in a number of market segments. Its mini hatchback Picanto and compact sedan Rio, for example, both start at Php635,000, the compact crossover Soul starts at Php995,000, the compact SUV Sportage is at Php1.2 million, while the mid-size SUV Sorento is at Php1.8 million. Kia says it plans to position the brand as an "approachable everyday companion," and will seek to attract mainstream car buyers. The brand also says it plans to unveil three new models druing the big relaunch next month.